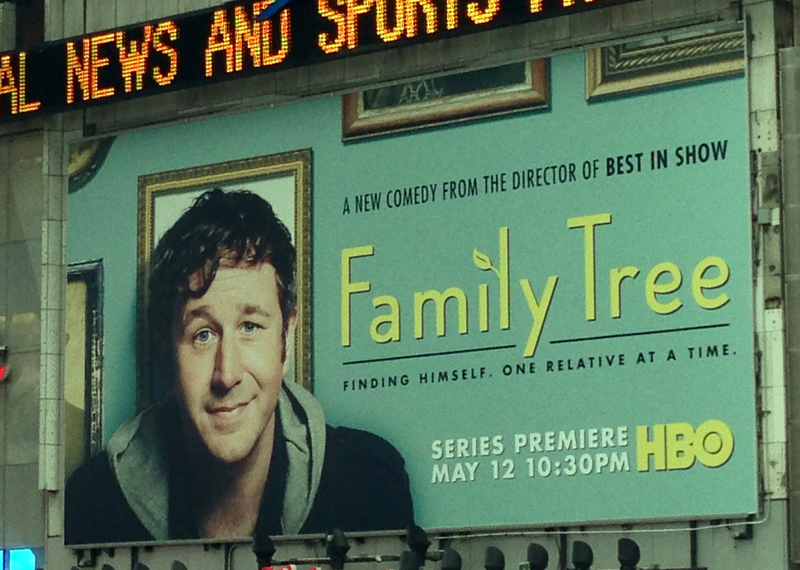 HBO is apparently on the fence about renewing Family Tree, the mockumentary series dreamed up by Christopher Guest and Jim Piddock. It may be that they're waiting to see how the first season performs in the U.K. where it's now airing on BBC, but the suspense is killing those in the U.S. fortunate enough to have spotted this stealth gem in its 10:30 p.m. Sunday evening slot. Here, then, are a handful of reasons why I implore HBO to favor Family Tree with a second season, and realizing that this is just a start, invite fellow aficionados to share their own. When the writing talent of Guest and Piddock provides a launch pad for the improv chops of the same duo and their friends Chris O'Dowd, Nina Conti, Tom Bennett, Ed Begley Jr., Michael McKean, Carrie Aizley, Fred Willard, and Amy Seimetz, the result is both comical and oddly believable. The show aims for the perfect silliness-plausibility balance and pulls it off, and the global obsession with genealogy furnishes a robust premise for both writers and actors to riff off for seasons to come. If you had told me before Family Tree aired that I would become enchanted with a snarky monkey puppet who mutters phrases along the lines of, "I prayed for eyelids that night, but it's a godless universe" (from one of his interviews rather than the show itself, and yes, Monk apparently does interviews), I would have been skeptical. But he won me over when he skyped Tom Chadwick (played by Chris O'Dowd) and refused to let him speak with Bea (Monk's adopted human and Tom's sister, portrayed by Nina Conti) because she was sleeping and couldn't be disturbed. A future without Monk is simply too dreary to contemplate. Family Tree is the kind of show the DVR was invented for. It's layered with numerous sly details that reward the viewer for paying attention or watching a second time. Piddock's Mr. Pfister is seen browsing online, but did you catch that the website he's perusing is IsItFatal?, a detail that's all the funnier because it's not much of a leap to imagine that such a site would exist. And what about the fact that he's got side by side photos of Willie Nelson and Nelson Mandela parked behind him because, well, don't we all? No one can convince me that this curious pairing wasn't the inspiration for the celebrity fusion challenge on Hollywood Game Night. Jane Lynch, veteran of several Guest movies, is the host, so it's almost hard not to connect those particular dots. As a genealogist who's had the opportunity to work on just about every show with a family history element (Who Do You Think You Are?, Finding Your Roots, Faces of America, African American Lives, Ancestors, Timewatch, and Top Chef, among others), Family Tree is still special. To be skewered by Christopher Guest means that we have well and truly arrived, and I'm not ready for our turn to be over. So Dear HBO, in the spirit of "build it and they will come," you've let them build it. Now please give the audience a chance to arrive.